The house is situated on a five-acre parcel of land. Tall trees surround a large sloping grass lawn at the rear of the house. Working with the Landscape Architect Lisa Roth, we designed a scheme that creates a series of rooms and walkways using the edges of natural and artificial elements. 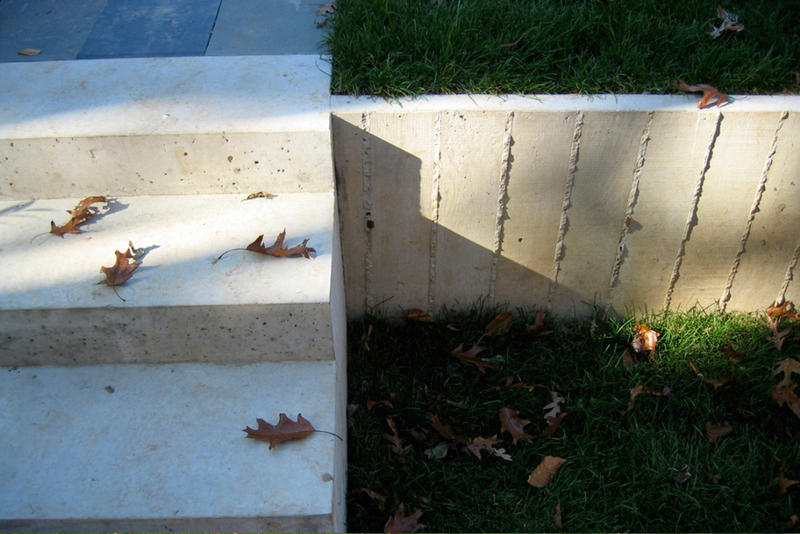 A long concrete retaining wall bisects the lawn into upper and lower surfaces. 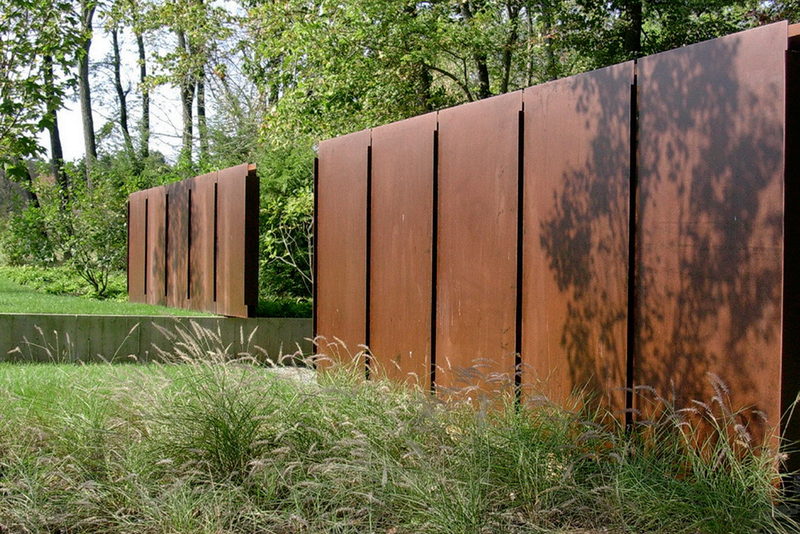 A sculptural steel wall is placed perpendicular and at the end of the concrete retaining wall. Left natural and coated with linseed oil, it complements and contrasts the changing foliage, providing a visual limit to the property as viewed from the house. Grasses and Boxwoods along with Alder and Oak trees are the natural elements. 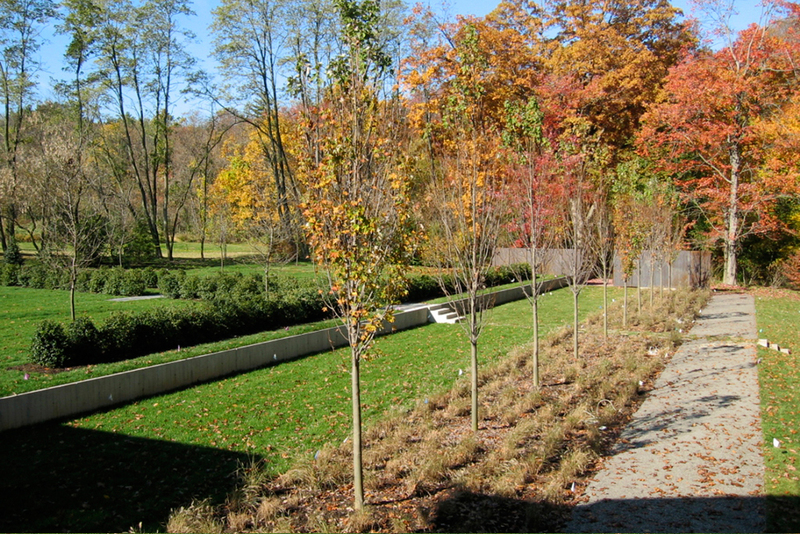 As the trees mature, they will create spaces between them and provide both filtered and direct light. The sculptures displayed are part of the owner’s permanent collection.